Five new brews all released the same day! April 6th we will hold our First Annual Chili Cook Off. If you haven’t signed up, you can do that here. The Chili Cook Off will wrap up with winners being crowned at 4:00 but the party will really just be getting started. We will be tapping 5 new beers at 5:00 in our brewery and rocking out with “Off The Hook”! The Taco Bar Truck will also be on site 4-8! Check back for more details! We can’t wait! Join us for our 1st Annual Chili Cook Off on April 6th at 12:00! Think you have what it takes to win? Sign up here! Categories will be determined based on the number of entries. Each contestant will be given a growler with fill (specialty pours excluded). Prizes will be awarded for 1st, 2nd, and 3rd place! Winners will be announced at 4:00! The party will continue in the brewery with music from 5-8! Whether you are competing, judging, or just want to hang out it is sure to be a great time! Check back for more details regarding the event and beer releases for the day! Come celebrate 3 years of some of Maryland's finest beers with us! We'll feature brand new IPA's, some available this one day only! Featured: Our 3 Year Anniversary Special, 'El Galactic Adventure', as well as experimental single hopped IPA's with hops from South Africa and fruit IPA's. El Galactic Adventure cans will be available on a first-come-first-served basis. Just like last year, we'll feature barrel aged favorites in the the game room and the back-of-brewery will be open starting at 1:00 with a separate bar dedicated to IPA's. Tours and live music by Elliott “Smitty” Smith and The Beer Money Band happening throughout the day! Calvert Crabs and Lil Mack’s BBQ will be on site. Check back for a full IPA menu! It’s our annual tradition! We give you a sneak peak of two very special collaborations each year on Thanksgiving Eve (November 21 this year). This year we have Down by the Bay and Route 301 Special. We’re also throwing a Karaoke Party, and plan to have a food truck on site! Bomber release is Nov. 3 - THIS SATURDAY! Señor Besos will be on tap throughout the Fall and Winter. Fall is officially here, and we have the perfect autumnal treat for you this Saturday! We're releasing 'Dat Becky' a pumpkin-spiced-latte inspired beer, designed by taproom manager Kristen, as part of our family series, where staff from all facets of the brewery get to design and brew their very own beer. We'll also be celebrating Kristen's birthday Saturday, so come drink a pint and celebrate with us! Cascade Hollow is a crisp, clean, very dry pale ale, named for the single hop variety used and the creek that runs through the local property the hops grow on. 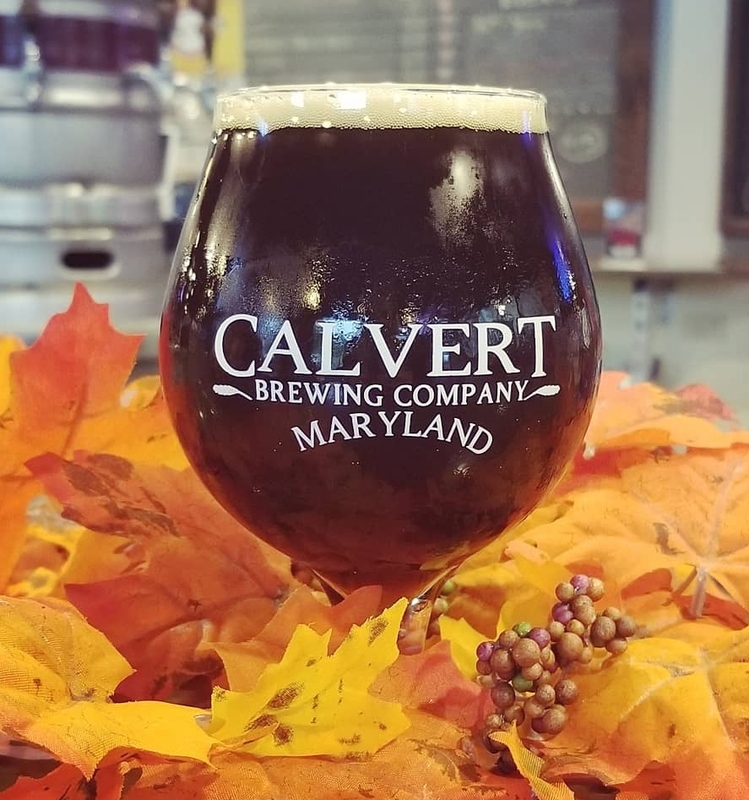 The concept for the beer was created by Calvert owner, finance guru, delivery driver, taste tester, general beer loving dude, Kevin, who is definitely a millennial, and also the guy who grew the hops in the first place. You can also pick up a six pack at your local beer retailer starting next week or in Calvert’s taproom starting September 26. We can just barely feel the first signs of fall at Calvert! *Award winning* Autumn Oktoberfest cans came down the line today earlier this week. Straight up German Style...smooth, toasty, malt forward, with hints of caramel, made from German malt and German hops. Can release in the taproom August 25. We're (it's) also featured the same day at REVIVE!, a food pairing showcase of the very best beers and restaurants Maryland has to offer. We're paired up with our good friends Brick Wood Fired Bistro, and we can't wait!! Happy 10 Year Anniversary Olde Town Pub! We made you a beer. We are so excited to release yet another IPA! And it's juicy, hazy, and tropical, just the right recipe for a hot July day. 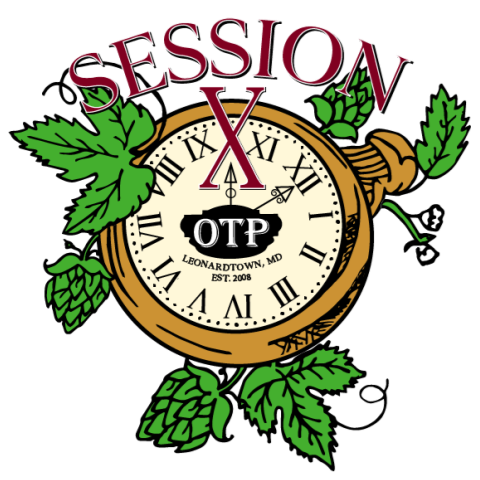 Session X was designed and brewed in collaboration with Olde Town Pub. Check it out either at the taproom or at their Anniversary Party on Saturday!